Augmented Reality Treating People With Spinal Cord Injuries, Movement Disorders - Augmented Reality, Virtual Reality & Mixed Reality services in Chennai, India. PHILADELPHIA (CBS) – There is a new high tech way to help people with spinal cord injuries and movement disorders. It’s being called augmented reality as computer-generated images are superimposed through some specially outfitted goggles. “I’m trying to chase Pac Man, keeping my head steady, keep a nice cadence,” said Mark Priest. Priest is putting the vendor technology to the test. “The concept is to improve my gait and my stride, by keeping certain speed,” said Priest. It could revolutionize the way people with catastrophic injuries are helped. “I have a spinal cord injury at level t-9 and t-12 of the vertebrae,” said Priest. “This lab focuses on helping people move again,” said Randy Trumbower, a physical therapist. The new technology uses augmented reality. “Augmented reality is a mix between what’s real and what’s not real. It’s a game-changer, for sure,” said Trumbower. It works with computer-generated images that are superimposed over the “real” environment. A patient follows a Pac Man around the room at changing speeds. “Different grades, steps, obstacles, things that you maybe wouldn’t experience in a traditional therapy,” said Priest. “The thing that is attractive about this particular technology is that it extends those benefits in a way that is more personal,” said Trumbower. Ultimately, it allows a patient to use that technology anywhere. “My goal is to improve my walking and get off the use of crutches and just be more independent in my day-to-day living,” said Priest. Priest can only use the visor for short periods but he’s still seen improvements. This was the first time without crutches. “I’m really excited to see the advancement of this technology and how it can help,” said Priest. 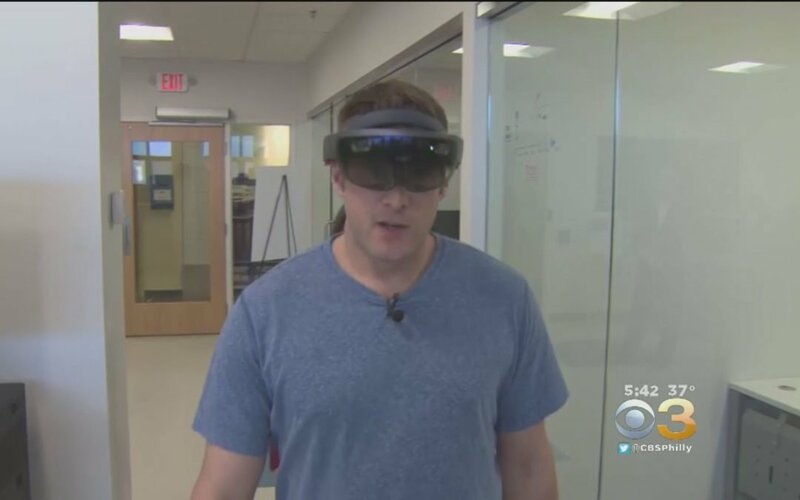 Researchers at the lab say they’re still in the early stages with the technology but they say early phases of the study are promising and they hope to eventually use the augmented reality for all kinds of rehab. Reach out to us to partner with the best!